Interaction08 blog » SOLD OUT!!!! IxDA | Interaction 08 / Blog » SOLD OUT!!!! 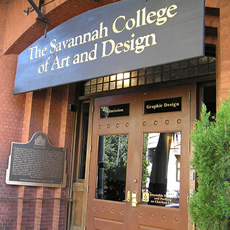 400 interaction designes from around the world will get together in Savannah, GA next month, but that doesn’t mean that if you aren’t coming that you can’t join the fun. You can still participate before the conference by visiting the Connect area of the conference site (#crowdvine), where attendees and observers can meet and exchange messages with one another. After the conference, we are planning to post recordings of many of the presentations. Thank you everyone who is attending and supporting this event. It is going to be amazing!!! !